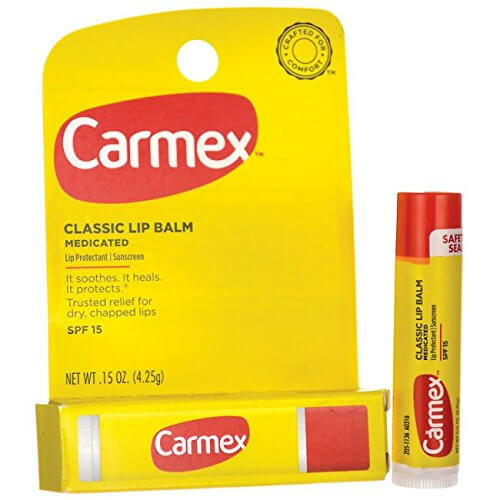 Carmex is one of a handful of popular lip balms that most people have heard of. It’s easy to find at drug stores, but unfortunately, Carmex is not vegan. What’s the alternative? There are many great lip balms that are 100% cruelty-free and vegan. Here’s my guide to the top 5 vegan and cruelty-free lip balms if you’d like to check it out. If you’re curious why Carmex is not vegan, let’s find out. The one partially bit good news about Carmex is that they do not test on animals. That’s a good start. But it’s clear why Carmex isn’t vegan when you look at the ingredients in their lip balm. There are 2 main ingredients, camphor (comes from trees) and petrolatum (same as petroleum jelly – or vaseline), which are both vegan. Lanolin and beeswax are both not vegan. Beeswax, just like honey, is a little more obvious why it’s not vegan. Here’s a quick summary of why beeswax is not vegan. Lanolin is a substance that is derived from the oil in sheep wool, that is extracted during shearing. While in theory it’s possible to obtain lanolin ethically, a lot of shearing practices hurt the sheep, and the sheep are ultimately killed for food once their wool production slows. This is one of the most straightforward products to label as non-vegan. If you like Carmex and want to find a close substitute, you’ll need a vegan lip balm that uses main ingredients close to camphor. I haven’t come across a good one that has camphor in it. Camphor is a wax that comes from trees, and there are other waxes from plants as well that are commonly used. The most common one is candelilla wax. In my experience these are just as good (or maybe even better) than non-vegan lip balms like Carmex.